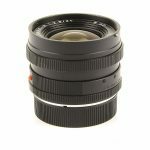 A large angle of view, relatively high speed and excellent imaging performance, even at full aperture are a perfect combination to give this lens a special place in dynamic photojournalism in very confined spaces. 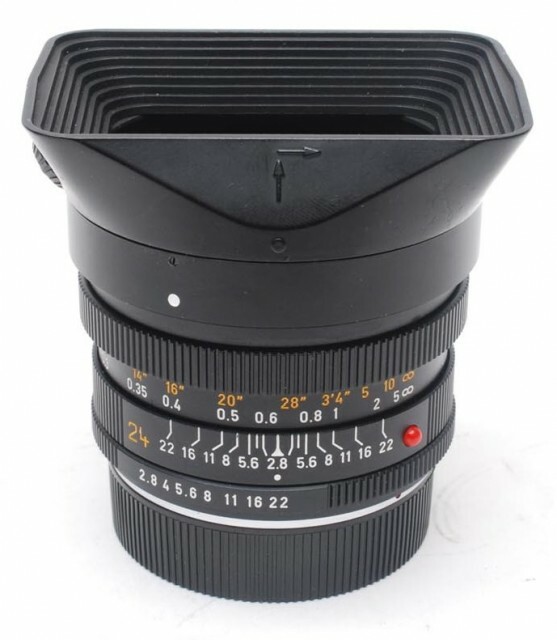 It creates impressive images with extraordinary perspectives, but without the impression that a super wide-angle lens was used. 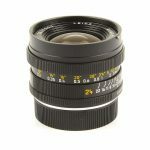 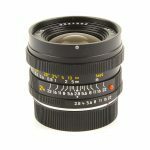 Particularly suitable for spontaneous close-ups with a dynamic relationship between the main subject and its surroundings that results from the combination of a large angle of view, large aperture, and very good imaging performance, even at full aperture. 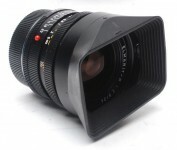 Equipped with a lens hood and filter holder. The lens was designed by Minolta Corporation which also supplied several parts to Leica's plant at Solms. 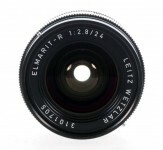 The lens is not compatible with Leicaflex (Standard) and SL cameras. 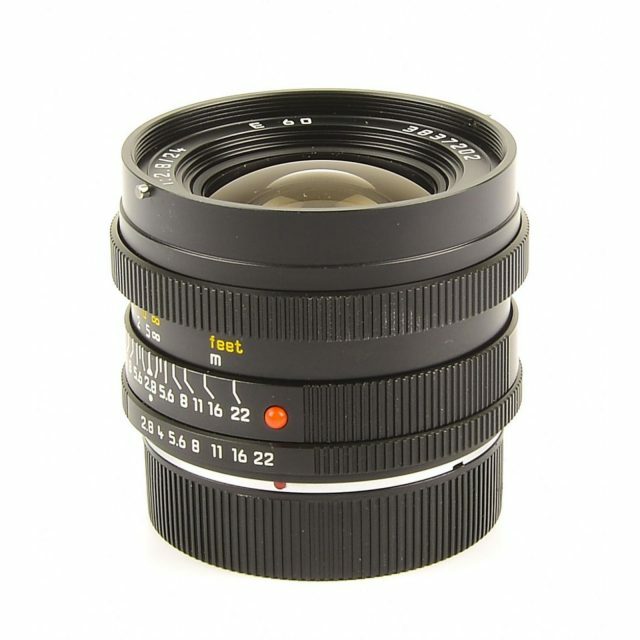 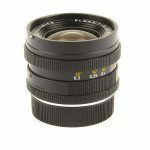 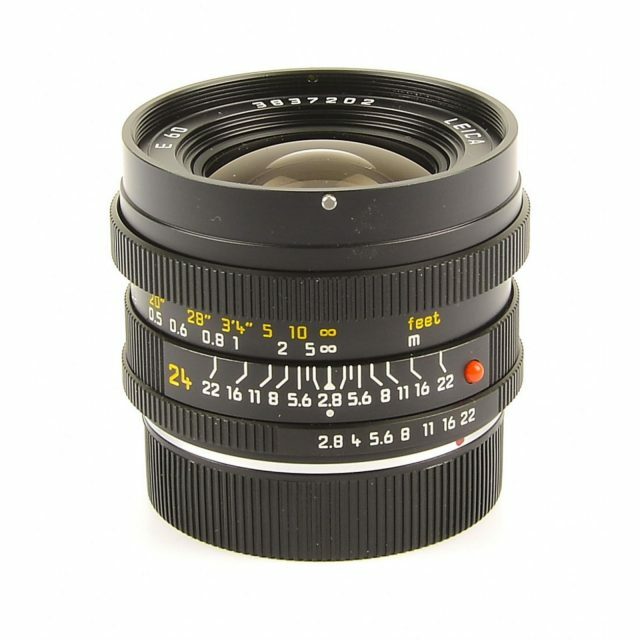 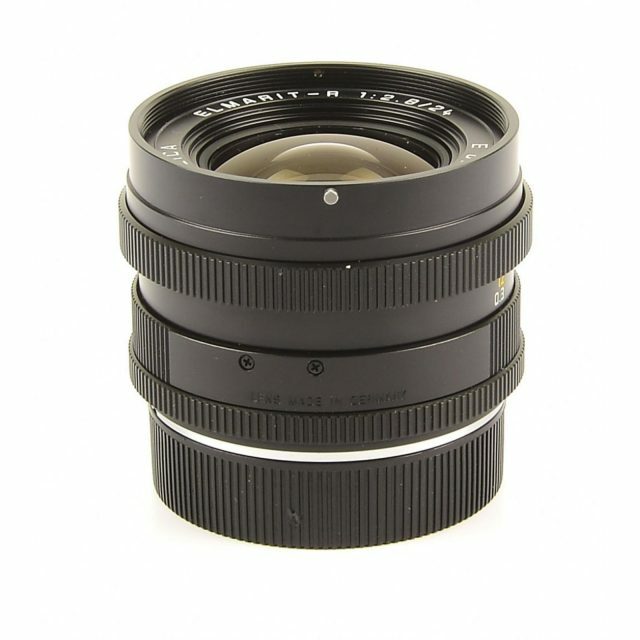 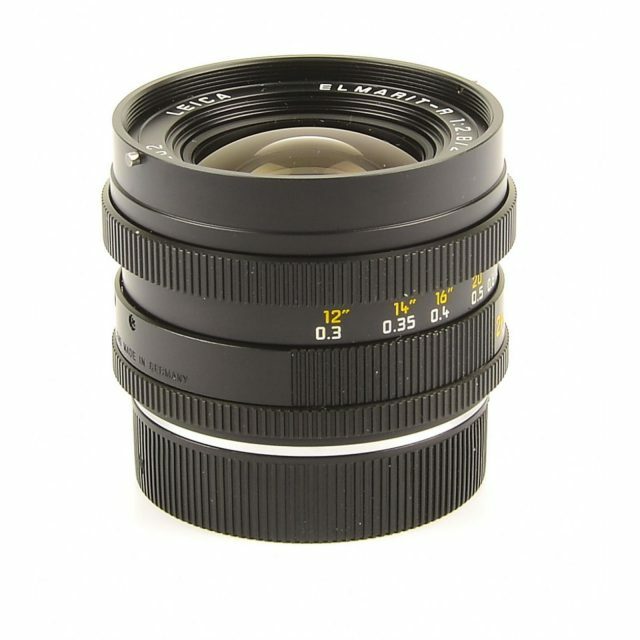 This wide-angle lens uses a floating element to achieve uniformly high imaging performance across the entire focusing range from 30 cm (12 in) to infinity. Artificial vignetting, which is already extremely low for this focal length, is easy to eliminate by slightly stopping down the aperture. At first glance, photographs taken with the LEICA ELMARIT-R 24 mm f/2.8 do not look like super wide-angle pictures, however they are very impressive because of their unusual perspective. 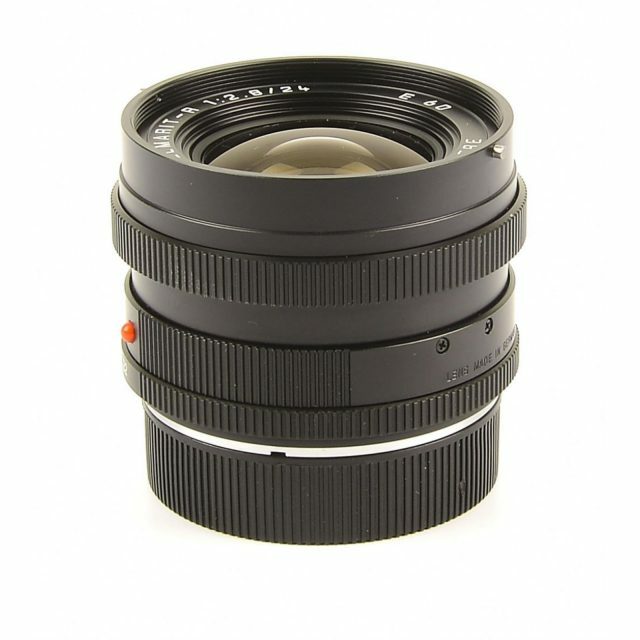 In the close-up range, this lens makes unusual images possible because it sets the main subject off in an interesting manner in relation to its surroundings.